NEXT ARTICLE Quiz: Can you name the 24 clubs Sturridge has scored against for LFC? Emre Can cannot remember a teammate being more reliable from the penalty spot than James Milner. The Liverpool vice-captain held his nerve from 12 yards at Swansea City before the international break to secure a fifth consecutive win for his team in all competitions. 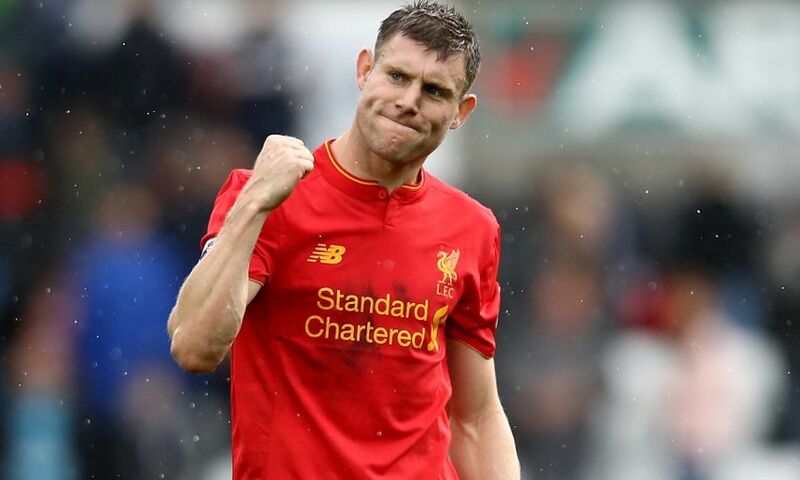 It was the fourth time already this season that Milner has found the target from the spot and his overall record in that department since joining the club is now seven without failure. The No.7 perfects his technique in training, according to Can, who believes the Englishman ranks alongside the best penalty takers he has shared a dressing room with. Can, who has been used in defence on a number of occasions by club and country, also had words of praise for the transition Milner has made from midfield to left-back this term. “It has surprised a lot of people, because it’s not easy to play at left-back from midfield,” said the 22-year-old.